Join to be a member and support this great organization! 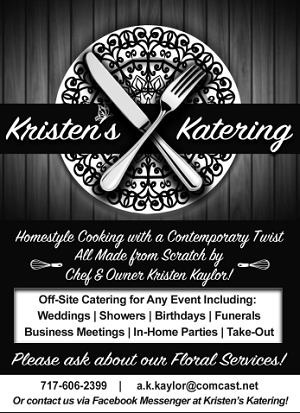 After receiving many compliments about the letter I published in the prior edition of the Marietta Traveler, I told the amazing Traveler staff that I would do my best to keep the readers entertained and educated about our great organization, Marietta Restoration Associates (MRA), again in this edition. Who knew? In 1984 a gift shop located on West Market Street (no longer there) named “Sugar and Spice” offered for sale a small wooden replica of the Union Meeting House for sale. This building was made by the owner of the shop and sold for $6.00. This wooden building became a very hot item for all the Marietta memorabilia collectors and enthusiasts. The Marietta Restoration Associates Candlelight Tour Committee contacted the shop owner and asked if they would be willing to make another building as a fundraiser for the tour. The first building chosen was the Marietta Community House, and the tradition began. Over the past 34 years many buildings in town have been made into wooden replicas by local artists. The collection consists of historical properties, bed and breakfasts, churches, and private homes. The 2018 building will be made by Cat’s Meow and will be the 35th wooden replica in the collection. Many Mariettians and tour-goers have collected these building over the last 34 years and are very proud of their collections. I know my buildings sit above my door ways in my dining room, perched on top of the molding. Of course this family tradition came from my grandmother, Vivian, who started my collection. The 2017 building chosen by the tour committee was 54 North Chestnut Street, built by Samuel R. Hipple in 1857. 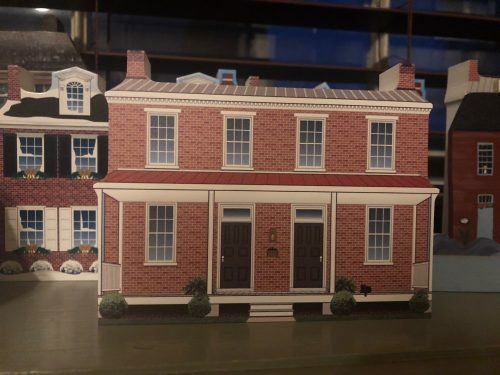 This particular building is still available to purchase if you are interested in starting your own collection please contact Vivian (717-426-1270). Today the buildings cost $22.00 and all profits go to MRA. When I think about Vivian, who is celebrating her 84th birthday, I think about all the amazing members who have been a part of the MRA journey since the beginning in 1965. Over the past 53 years there has been 26 outstanding volunteers who have received the life membership award and recognition. Today there are 9 MRA life members (including Vivian) who still volunteer and make MRA the vibrant organization it is in the community today. 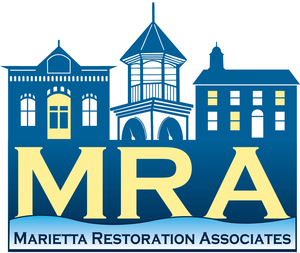 Without individuals like this, MRA would probably not be as successful, still be so committed to the restoration of Marietta, and have the continuing commitment to the community. I would like to personally thank all of the Life Members for keeping the original dream of MRA going, giving me this amazing opportunity to serve with a great board and maintain traditions. I am excited to announce that the MRA has officially started working on the sidewalks and lighting around the Union Meeting House. We apologize to all of our neighbors for the extra noise as we take great strides to make the building ADA accessible and improve the current curb appeal. I’m looking forward to Marietta Day and enjoying time with my Marietta Family. Old Town Hall will be open during Marietta Day. If you have never toured the museum, I ask that you take some time to come and learn more about our great TOWN.